In the massive literature on the idea of the self, the Augustinian influence has often played a central role. The volume Augustine Our Contemporary, starting from the compelling first essay by David W. Tracy, addresses this influence from the Middle Ages to modernity and from a rich variety of perspectives, including theology, philosophy, history, and literary studies. The collected essays in this volume all engage Augustine and the Augustinian legacy on notions of selfhood, interiority, and personal identity. 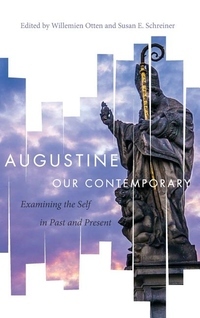 Written by prominent scholars, the essays demonstrate a connecting thread: Augustine is a thinker who has proven his contemporaneity in Western thought time and time again. He has been "the contemporary" of thinkers ranging from Eriugena to Luther to Walter Benjamin and Jacques Derrida. His influence has been dominant in certain eras, and in others he has left traces and fragments that, when stitched together, create a unique impression of the "presentness" of Christian selfhood. As a whole, Augustine Our Contemporary sheds relevant new light on the continuity of the Western Christian tradition. This volume will interest academics and students of philosophy, political theory, and religion, as well as scholars of postmodernism and Augustine. Contributors: Susan E. Schreiner, David W. Tracy, Bernard McGinn, Vincent Carraud, Willemien Otten, Adriaan T. Peperzak, David C. Steinmetz, Jean-Luc Marion, W. Clark Gilpin, William Schweiker, Franklin I. Gamwell, Jean Bethke Elshtain, Fred Lawrence, and Françoise Meltzer.